Milan Pole Dance Studio: Werk It! After trying out a bevy of disciplines including karate, aerobics, swimming and kickboxing, I can tell you with utmost certainty that you haven’t had a real full-body workout until you’ve twirled around a golden pole in four inch heels and short shorts, ladies…and gents (give and take the short shorts and heels for the gents). Yes indeed, men too can partake in the art of pole dancing, no longer the domain of exotic dancers alone. I recently had the opportunity to work the pole, as I tagged along with my colleague Ariane to Montreal’s recently inaugurated Milan Pole Dance Studio, where we were invited to try a beginner’s pole dancing class. 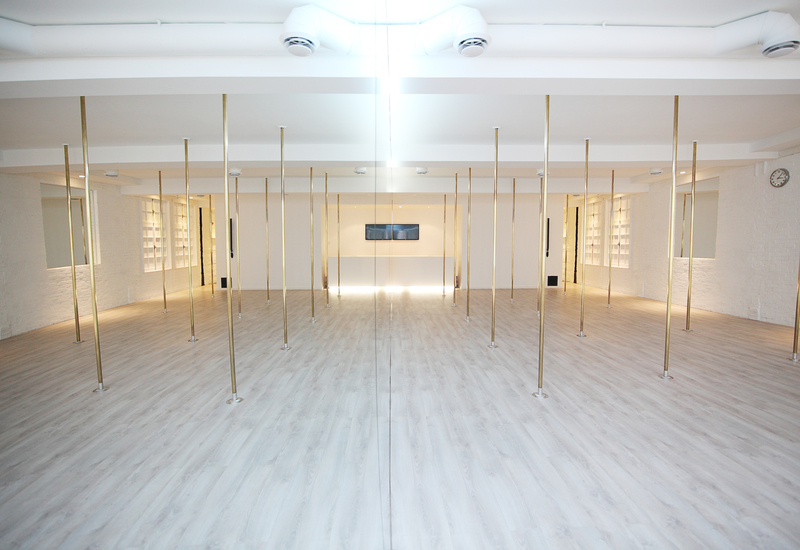 The studio located in the heart of Old Montreal is the latest addition to the Milan Pole Dance family, with the flagship located in—you guessed it—beautiful Milano. With two locations now serving the public in the Italian city, founder Krystel Arbia has graced our fair city with one of our very own. First things first, you must know those short shorts aren’t a fashion statement. Rather, sporting the shortest bottoms possible is a requirement of this technical workout to help you execute the many acrobatic feats required. After a brief warm-up with our extremely agreeable, and might I add very toned pole instructor Prana Ovide-Etienne, we dove right into it. During our basic 60-minute workout, we did everything from turning, spinning, twirling to hoisting ourselves up on the pole under Etienne’s watchful and encouraging eye. There’s something quite empowering about pole dancing, as you allow yourself—and are encouraged—to unleash your sexuality, and flaunt, as opposed to hide or be ashamed of, your body. But take heed, pole dancing isn’t for the faint of heart: it requires strength, flexibility and endurance. That said, while perfecting all the moves may take time and practice, the confidence boost is instantaneous, and pole dancing, simply infectious. Your entire body will be sore days after, but that’s only testament to the effective, total body workout pole dancing provides. However, if you’re concerned about your flexibility, not to worry. Among the many classes offered at Milan Pole Dance Studio, there’s one devoted entirely to stretching that should get you up and running in no time! And if you require any more convincing on the artistic merits of this discipline, take a look at pole champion Edouard Doyle and leading Milan Pole Dance Studio instructor Marion Crampe in action. Simply breathtaking. Photos courtesy of Milan Pole Dance Studio.